No matter how hard the beauty business proclaims innocence the undeniable truth that many of the ingredients in skin care and makeup are toxic to our bodies. First of all consumers need to know that the FDA does not regulate the cosmetic industry. Since the beginning of this huge multi-billion dollar industry we have been lead to believe that the skin is a protective barrier that does not absorb anything into the body. This claim has allowed cosmetic and beauty products to be exempt from Food and Drug Administration (FDA) because it doesn’t fall under the classification of a drug. Silly isn’t it considering how many drugs are now applied thru the skin patch. The European Union has banned approx 450 ingredients from personal care products in contrast to just 9 banned by the FDA here in the US. “For Professional Use Only” — This phrase allows cosmetic companies to remove harmful chemicals from their labels. “Hypoallergenic” — No actual testing is necessary to claim that a product is “hypoallergenic”, “allergy-free” or “safe for sensitive skin”. Neither the FDA nor any other regulating body even requires the companies to prove these claims. Not Harmful Chemicals — Unless they are intentionally placed in the product, harmful chemicals are not required to be listed. It’s no shocker that you never see these. Tested on animals. Cosmetic labs buy their chemical ingredients from the huge chemical labs and even though these small labs do not test on animals their huge suppliers do. Simple answer: because they’re cheap, readily available, and easy to dilute. Parabens ……. 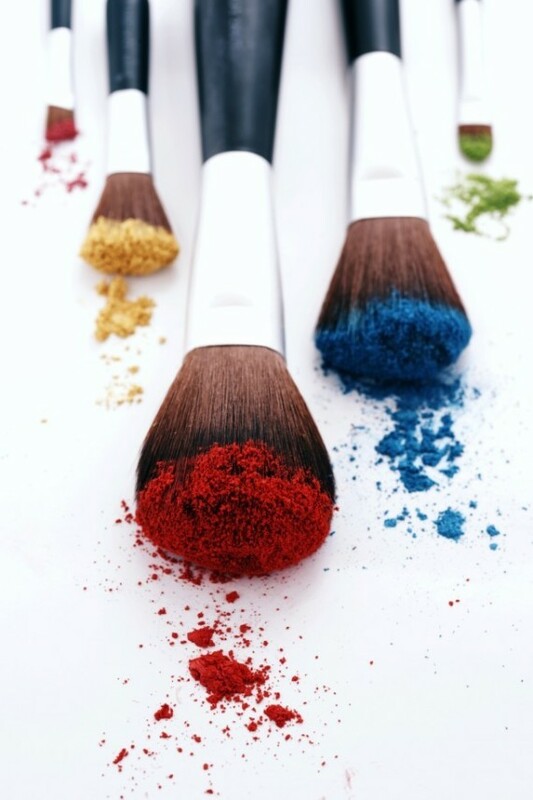 Heavily used preservatives in the cosmetic industry; used in an estimated 13,200 cosmetic and skin care products. Studies implicate their connection with cancer because their hormone-disrupting qualities mimic estrogen and could disrupt your body’s endocrine system. Sodium laurel or lauryl sulfate (SLS), also known as sodium laureth sulfate (SLES)….. Found in over 90% of personal care products! They break down your skin’s moisture barrier, potentially leading to dry skin with premature aging. And because they easily penetrate your skin, they can allow other chemicals easy access. SLS combined with other chemicals may become a “nitrosamine” – a potent carcinogen. Acrylamide…….. Found in many facial creams. Linked to mammary tumors. Propylene glycol……. Common cosmetic moisturizer and carrier for fragrance oils. May cause dermatitis and skin irritation. May inhibit skin cell growth. Linked to kidney and liver problems. Phenol carbolic acid…… Found in many lotions and skin creams. Can cause circulatory collapse, paralysis, convulsions, coma, and even death from respiratory failure. Dioxane…… Hidden in ingredients such as PEG, polysorbates, laureth, ethoxylated alcohols. Very common in personal care products. These chemicals are often contaminated with high concentrations of highly volatile 1,4-dioxane that’s easily absorbed through the skin. Its carcinogenicity was first reported in 1965, and later confirmed in studies including one from the National Cancer Institute in 1978. Nasal passages are considered extremely vulnerable, making it, in my opinion, a really bad idea to use these things on your face. Toluene…… May be very poisonous! Made from petroleum and coal tar… found in most synthetic fragrances. Chronic exposure linked to anemia, lowered blood cell count, liver or kidney damage…May affect a developing fetus. Phthalates…. by far one of the most damaging of all. It can cause reproductive system and hormonal problems and is on high alert in the cosmetic industry as one to avoid. Steps are being taken to banning it in cosmetics. So what can you do to ensure your cosmetics and skincare are safe? What are some of your favorite natural beauty solutions? Friendship happens in the comments below leave a comment and join the conversation! The LIF community thrives in the comments and its a great place to get support! Heres to Peace, Love, and Natural Beauty!